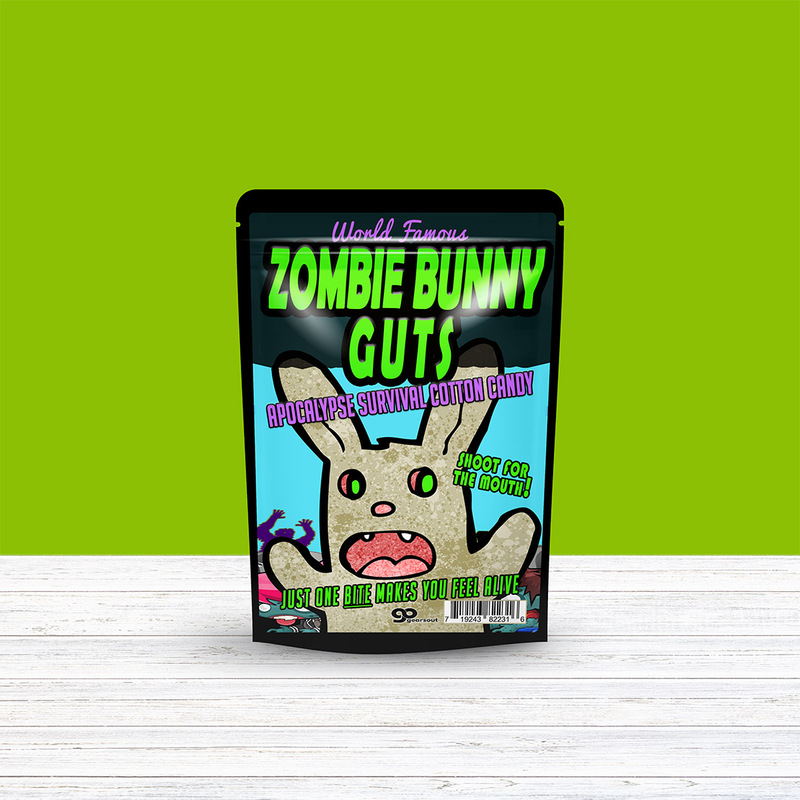 Weird and wacky, Zombie Bunny Guts Cotton Candy is an oddly awesome twist on a classic novelty gift idea! 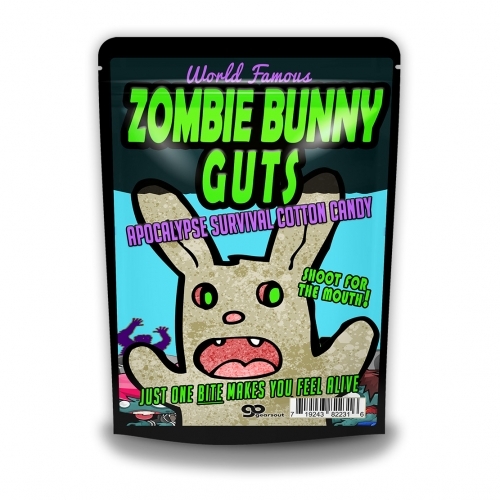 Instead of being bored to death by the standard sweet and fluffy bunny gift, toss a bag of this hilarious apocalypse survival cotton candy into an Easter basket and wait for the laughs. 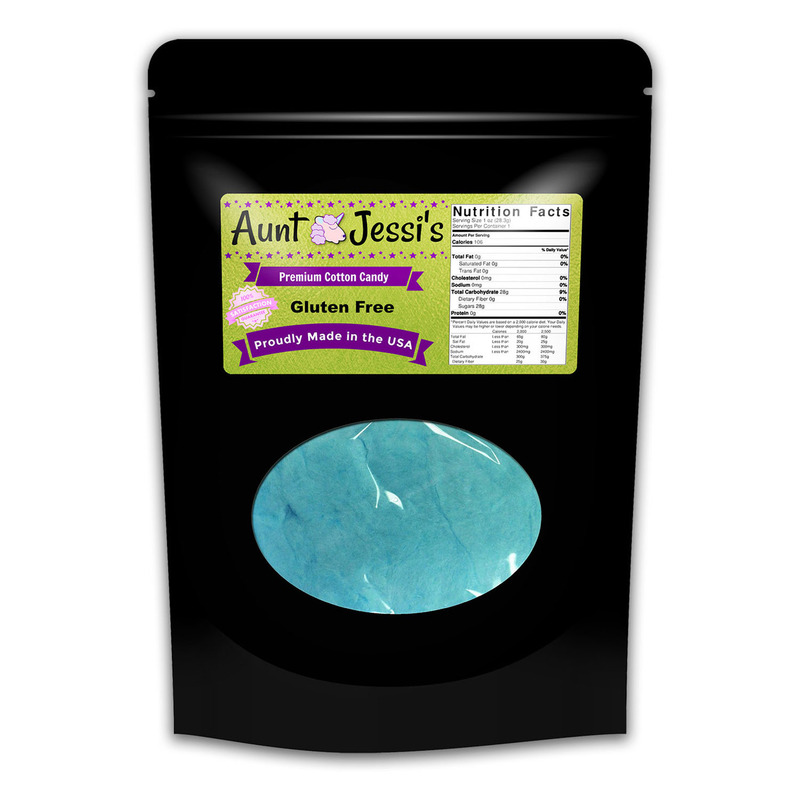 Bunny Guts Cotton Candy is a sweet, blue, gluten-free treat that will make anyone giggle. Grab a bag and shoot for the mouth! 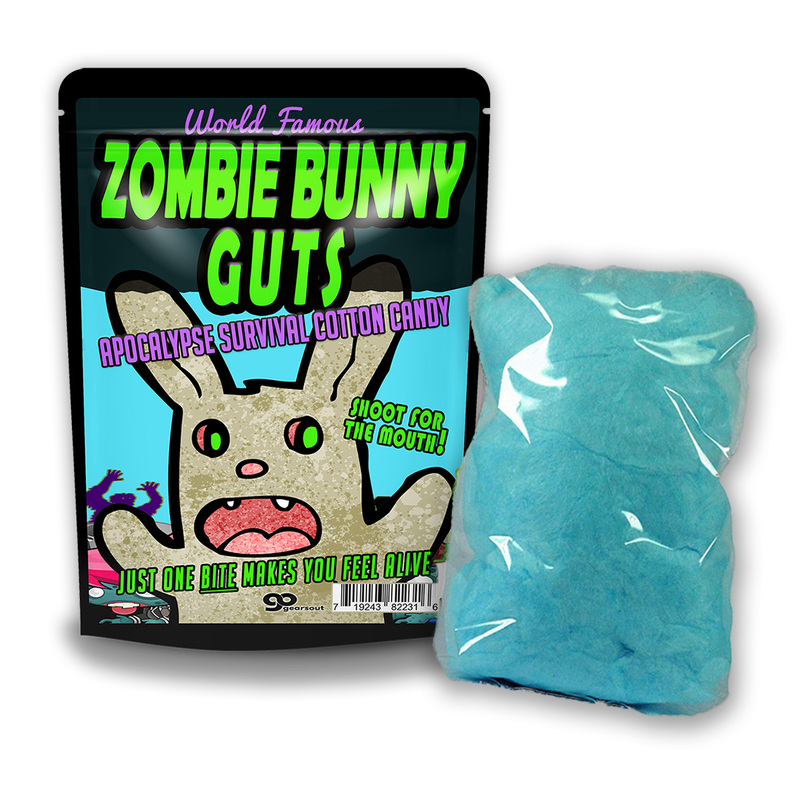 Zombie Bunny Cotton Candy is the perfect candy gag gift for kids, teens, and adults. 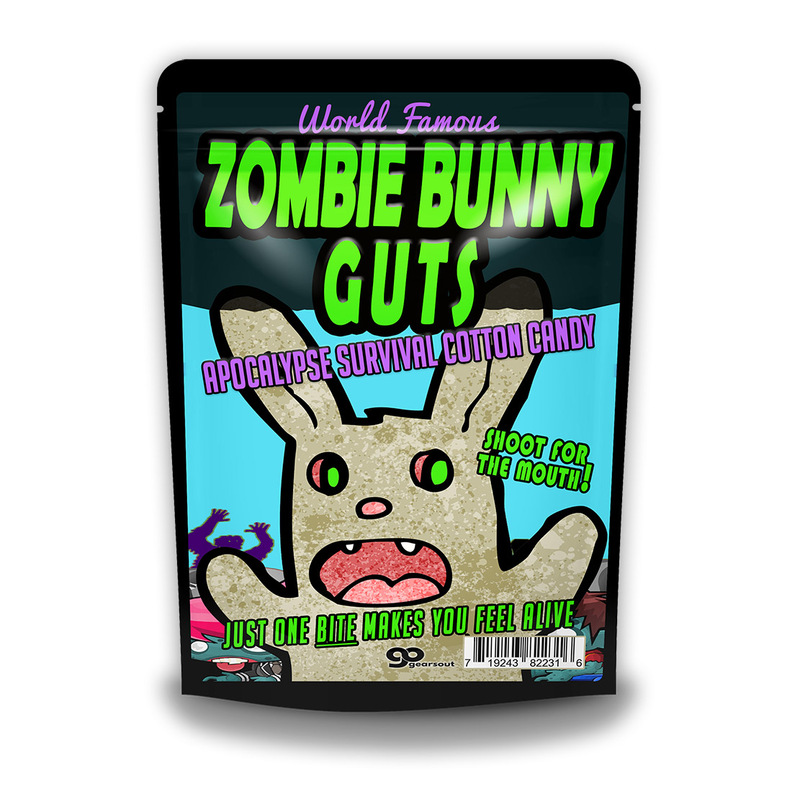 The hilarious apocalypse survival design features a cute zombie bunny, weirdly appropriate for any apocalyptic gifting and snacking needs. It’s an adorable, unexpected addition to Easter baskets, holiday care packages, and gift baskets. It’s also a cheery choice for Secret Santa or White Elephant gift exchanges, stocking stuffers, or just because everyone can use a strange lift!